The Green Party will finish well ahead of the Working Families Party when voting is held on Tuesday in New York’s governor’s race, but the WFP will do well enough to maintain its ballot line for another four years. These are some of the early results in a reader poll sponsored by The Indypendent. 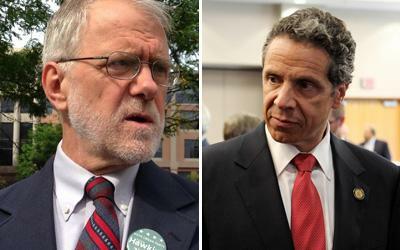 We asked readers to forecast the vote totals for Green Party gubernatorial candidate Howie Hawkins and for incumbent Governor Andrew Cuomo who is running on the Working Families Party ballot line as well as the ballot lines of the Democrats and two other minor parties. As of Saturday 5 pm, the average prediction for Hawkins and the Greens is 240, 211 votes vs. 103, 476 votes for Cuomo and the WFP. By a margin of 64-28%, contest participants expect the Greens to receive more votes than the WFP while 8% forecast a tie between the two parties. There have been heated debates among New York progressives about whether to vote for the WFP which has been heavily criticized in some circles for endorsing Cuomo for a second time, or to opt for Hawkins who has run a stronger-than-expected campaign on an unabashedly left-wing platform. Four years ago, Hawkins received 59,906 votes (1.3%) in the governor’s race while Cuomo on the WFP ballot line received 154,835 votes. In New York State, a political party must receive 50,000 or more votes in the governor’s race to maintain its ballot line for another four-year election cycle. The poll respondent who comes the closest to guessing the vote totals of the Greens and the WFP without going over on either will win bragging rights for being the savviest lefty political forecaster in New York. 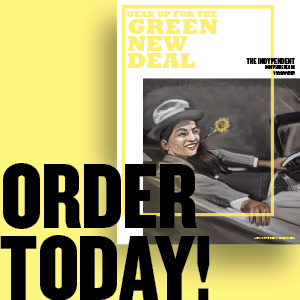 He or she will also have a choice of first prizes: either a $100 ad credit for future use in The Indypendent for themselves or their organization, or two annual subscriptions plus an Indypendent T-shirt. To submit your contest entry, click here. 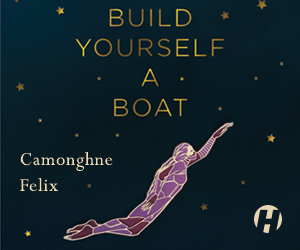 The deadline for submissions is 6 pm on Tuesday November 4.